Lot 222. 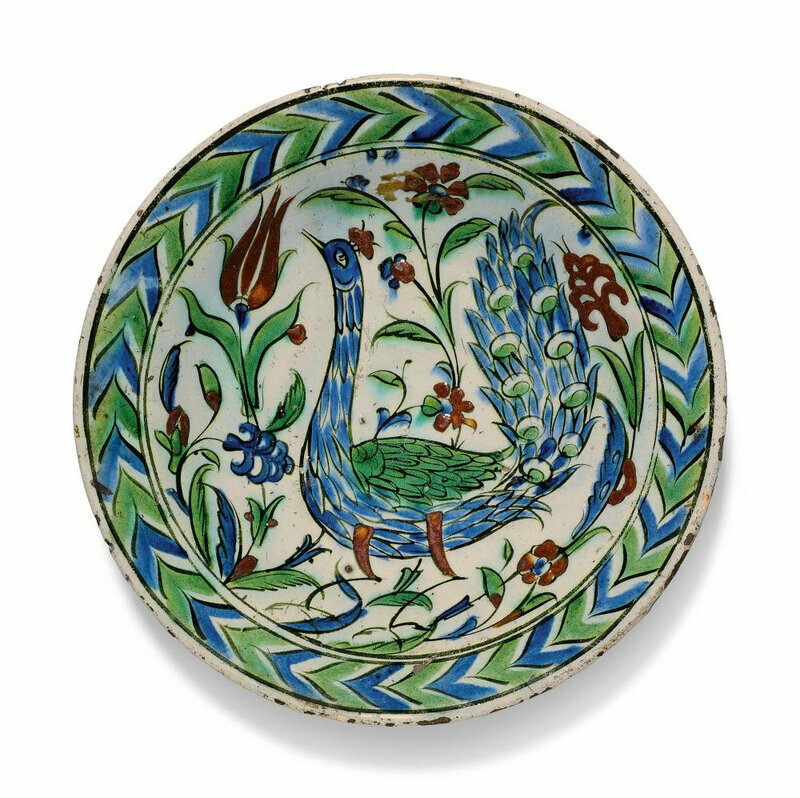 An Iznik polychrome pottery dish with peacock, Turkey, 17th century; 26cm. diam. 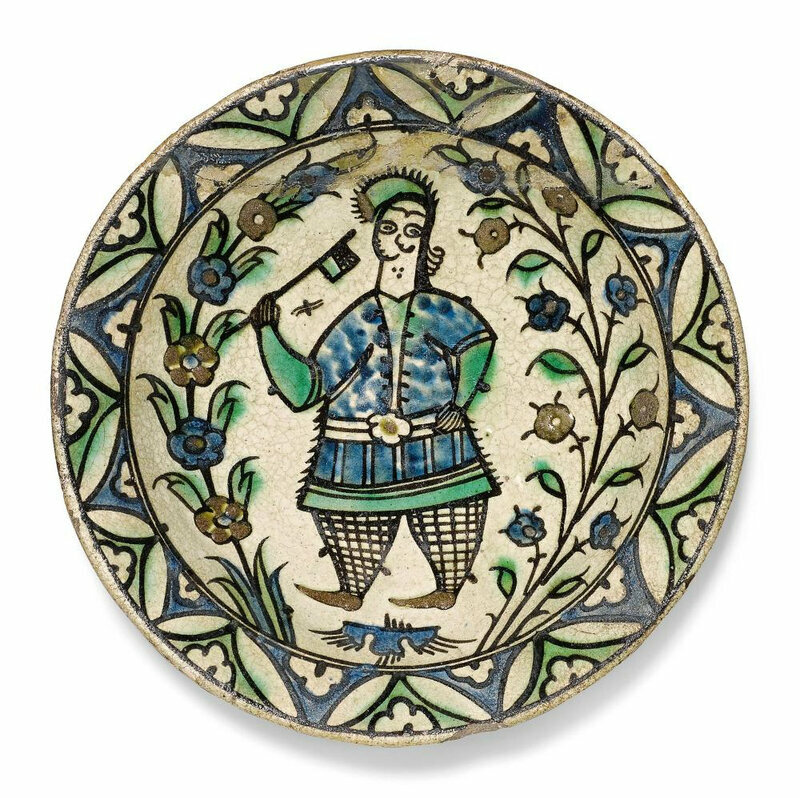 Estimate £4,000 - £6,000. © Sotheby's. 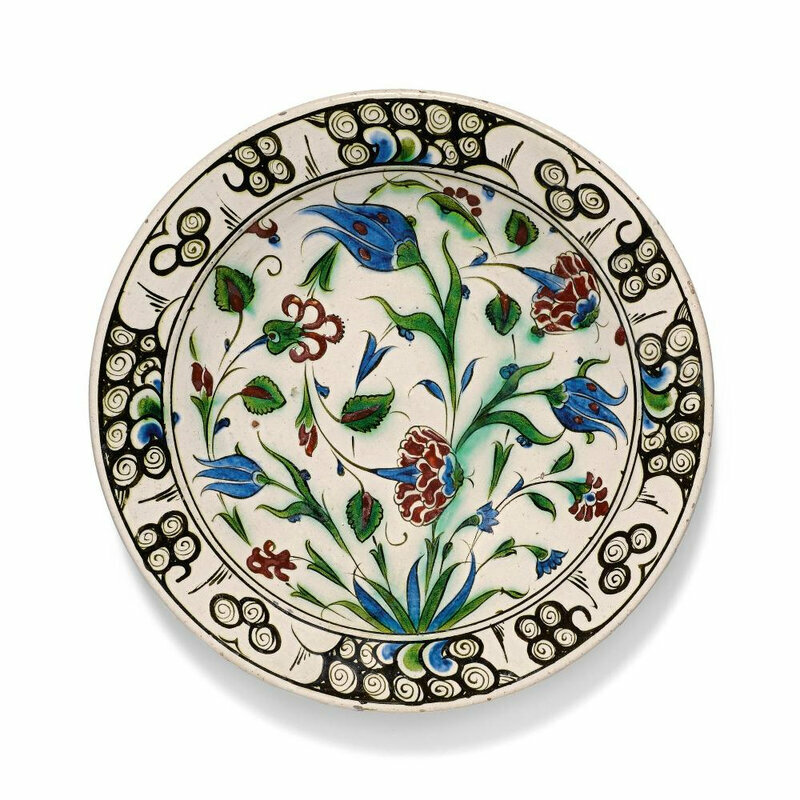 of deep round form with everted rim, fritware decorated in blue, light green, bole red with dark green outlines, old collection label 'p.142/8605' and 'Ernst Muzeum Aukcionai 79', one drill to the foot. Provenance: Ernst Muzeum, Aukcionai, 79.